Photoshop is the industry standard in the photo editing field. The vast majority of professional photo editors and photographers use this tool to work. But, everyone also knows that Photoshop is not a free tool. Even worse. Photoshop is no longer accept one-time purchase like it used to be. You have to pay a monthly or yearly subscription fee according to the plan you chose. Is there a way to use Photoshop for free and legal? Yes there is. Adobe offers free trial for nearly all of its desktop-based apps. Including Photoshop, or more precisely Photoshop CC. There is no difference between the trial version and full of Photoshop. Functionally, the trial version of Photoshop is precisely the same as the full version of Photoshop. You can also download and use the additional plugins. How long can you use the trial version of Photoshop? Only 7 days. 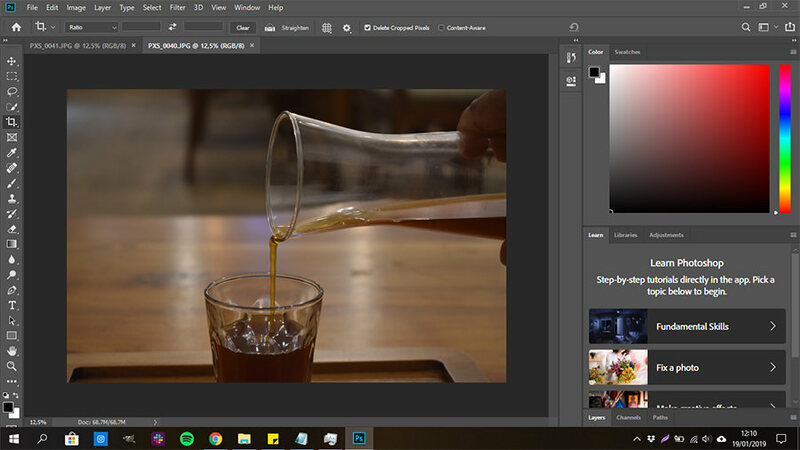 What it takes to use the trial version of Photoshop? 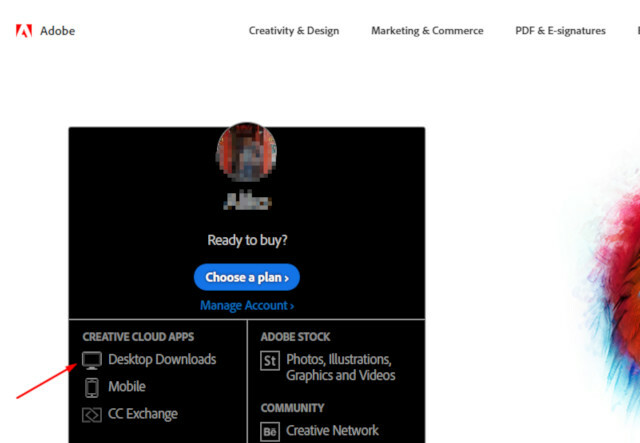 Before being able to use the trial version of Photoshop, you need to create an Adobe account first. Creating an Adobe account is free and your account won’t be deleted even if you eventually decide not to buy Photoshop. You can use your Adobe account to use free products from Adobe like Adobe Spark. 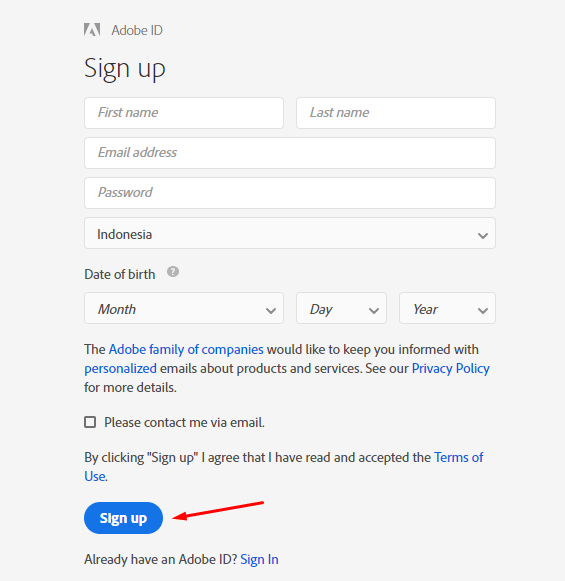 To create an Adobe account, visit the website of Adobe and click Sign In top-right corner. Click the Get an Adobe ID link on the next page. 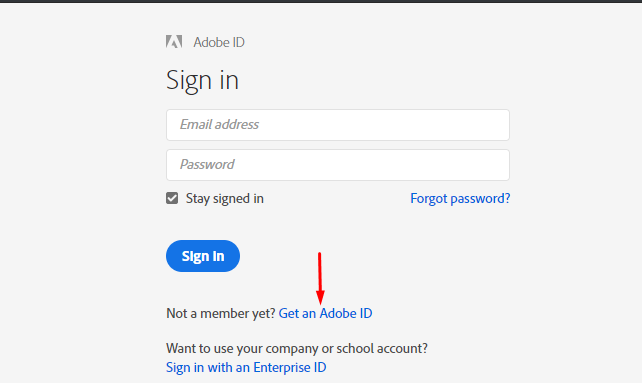 Once you have successfully created your Adobe account, login to the Adobe website and click the Desktop Downloads link on the left panel. On the next page, seek for Photoshop and click the Download trial link to download the installer of Photoshop. The installer file of Photoshop is pretty small. Less than 2MB. To start installing, simply double-click this file. 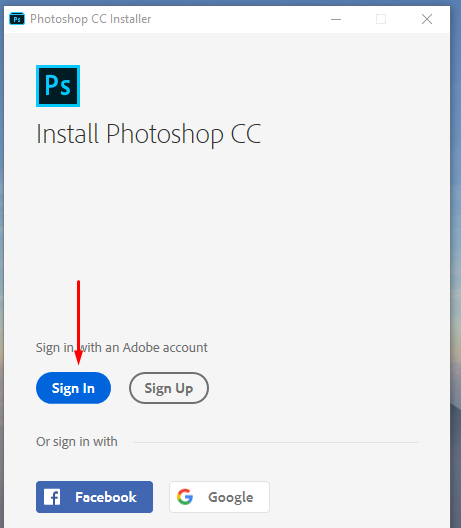 First off, you will be asked to login with your Adobe account before being able to install. Click the Sign In button and login with your account. On the early steps, you will be asked what is your occupation and how you will be using your Photoshop (personal or business). Then, the installer will start downloading the necessary files. The installation process can take times, depending on your internet speed. You can prepare a coffee while the installation process is running. Photoshop will automatically launch once the installation process is done and you can start use it right away. Here is the screenshot of the trial version of Photoshop. 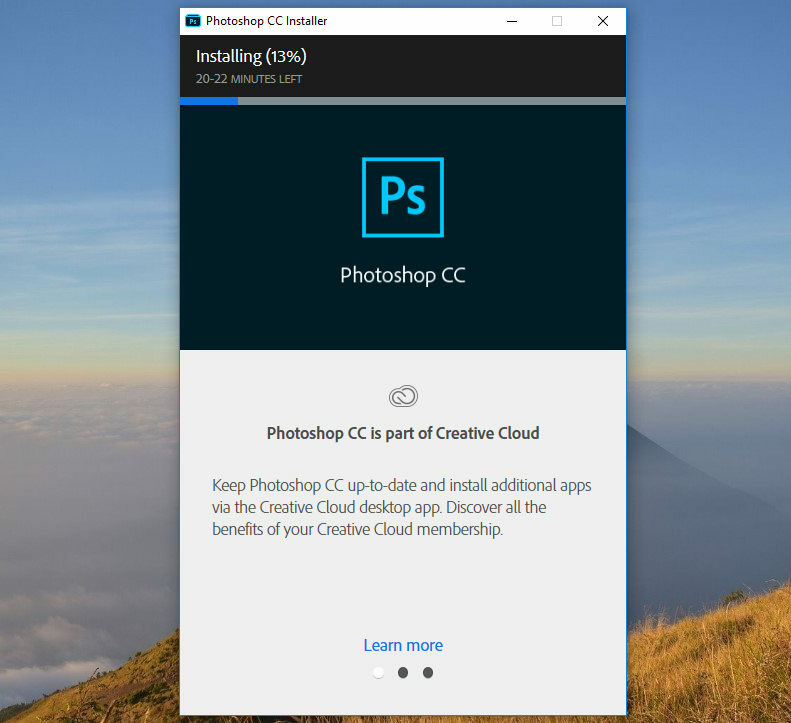 The installation process of Photoshop will include Adobe Creative Cloud. You might will have an error report when launching Adobe Creative Cloud during the trial period. Don’t worry, you will keep be able to run Photoshop without any problem so there is nothing you need to do. Simply close the pop-up if you have the message error when launching Adobe Creative Cloud (Adobe Create Cloud will be added to the startup applications list in Windows ). Next articlePhotoshop vs GIMP: Which Image Editor is Better?